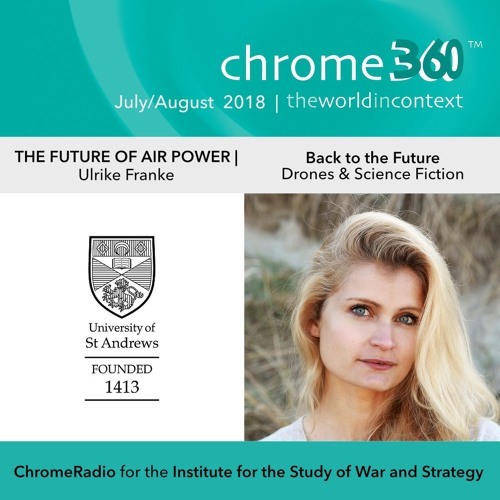 ULRIKE FRANKE, Policy Fellow at the EUROPEAN COUNCIL ON FOREIGN RELATIONS (ECFR), on the increasing use of drones in military operations, and the importance of science fiction. RECORDED at the conference on THE PRESENT AND FUTURE OF AIR POWER, held on 8-9 May 2018 at the UNIVERSITY OF ST ANDREWS. PRODUCTION | ChromeRadio in partnership with the INSTITUTE FOR THE STUDY OF WAR AND STRATEGY, SCHOOL OF INTERNATIONAL RELATIONS, UNIVERSITY OF ST ANDREWS | Producer - Catriona Oliphant | Post-production - Chris Sharp.